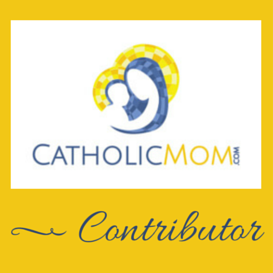 Life of a Catholic Librarian: A liturgical year book review - and a giveaway! A liturgical year book review - and a giveaway! Lots of excitement, no? 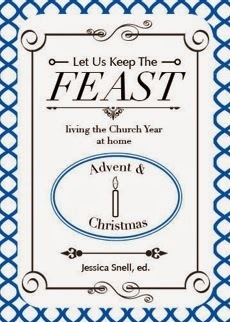 :) I am very pleased to be a reviewer of the Let Us Keep the Feast series of books from Doulos Press, chronicling the liturgical year. There will be 4 books total in the series, and yours truly will be hosting a review and a giveaway for a print copy of each! Lots of squealing going on over here, rest assured. I love this stuff. Let us begin with the first volume, which covers Advent & Christmas. (6) Things to Make - Crafts! The sure way to my heart. (8) Resources - Lists of applicable Scripture verses, books, music and prayers. Nothing pleases me more than a standard format for a series of books, it makes it so much easier to pull them off your shelf and use them as reference sources during the season in question. And the sections chosen for this series are just perfect. The Advent portion discusses Advent wreaths and calendars, the Jesse Tree, and even mentions fasting (a long standing, but often not well-known, Advent tradition). *swoons with delight* St. Nicholas and St. Lucy make strong appearances, and indeed these are the two feast days that I really emphasized with my children this Advent. The resources section discusses the O Antiphons, and on this I really learned something. Of course, I have sung "O Come, O Come Emmanuel" many times in church, but I had not really put two and two together on this. The O Antiphons are the verses from this hymn, and for centuries have traditionally been recited or sung during the last seven days of Advent. Yes, that is December 17th through the 23rd, perfect timing for this blog post!! Each of the antiphons is fully listed in the Advent Resources section. Reading them evokes being in Mass amongst the lit Advent candles and a darkened sky permeating the stained glass windows. Just beautiful. The Christmas section nearly brought tears to my eyes, it is so lovely. And this is the information that we need to share with others - Christmas is NOT a day, it is a SEASON! There is SO much beautiful tradition still to come following December 25th. In this section, we learn about the Christ candle, a progressive approach to laying out the family nativity set, the history and symbolism of Christmas trees, the Twelve Days of Christmas, and so much more. The author discusses the feasts of St. Stephen, St. John the Apostle, and the Holy Innocents. *Lots* of suggestions for activities with small children in this section, it is delightful! The children will be off from school until after the new year, and thus it is a perfect time to have crafty things to do together at home, especially if the weather prohibits outside play. Holy Name sugar cookies, anyone? Sounds delicious. I thoroughly enjoyed reading this book, and cannot wait to read the next volume, Epiphany & Lent! Look for a review and giveaway of that volume to come in February. This book is available both in print, and as an ebook from the Doulos Resources eStore, (*UPDATE: use the code "LUKTFBlogTour" to get 15% off your purchase!) as well as on Amazon. They are *extremely* reasonably priced, at $9.95 for a print copy and $1.99 (!) for the ebook. You may also download only the Advent segment, or only the Christmas segment, for a mere 99 cents! If you want to get right on those O Antiphons, download away! There is, however, an opportunity to win a free print copy. I subjected myself to Rafflecopter just for you all. :0 It really wasn't that complicated, I'm just being curmudgeonly. I actually contemplated having you simply leave a comment and I would pick names out of a hat, just to let you know what you're dealing with here. Anyway, enter below! This is for a bound print copy that includes both the Advent and Christmas segments. The giveaway is only open until midnight Thursday December 19th, EST! So enter quick like bunnies! This book sounds perfect for my young Catholic family! Love your review and blog! This sounds super-cool! I'm entering! sounds Great! I entered! Thank you! I'm entering. Thank you for the giveaway. This sounds wonderful! Definitely entering! I'm entering, looks like a good one! Wow! This book really does sound like a solid resource one can turn to at Christmas.... as well as fill a void for Christians everywhere. Another game of "what's that sound?!"